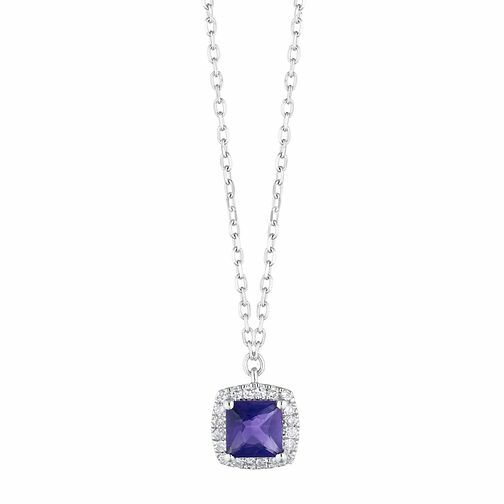 A charming cushion cut amethyst crystal is beautifully displayed on this sparkling pendant. Complimenting the amethyst's luxurious rich purple shades, a shimmering diamond halo totalling 0.05ct adds a sophisticated shine. Placed upon a white gold chain, this pendant is a precious piece to compliment your eveningwear.